Removal of unwanted dark hair has become the most popular cosmetic treatment in recent years for women as well as for an increasing number of men. Laser hair removal will work on almost any part of the body, from your legs, bikini line, arms, chin, upper lip, face and neck, to even your back or shoulders—practically anywhere. 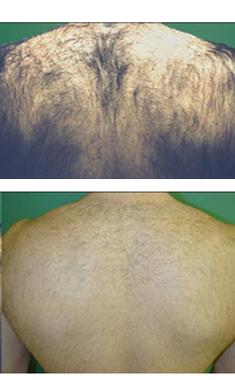 Reduce unwanted hair with Laser Hair Reduction.